Have you found an online vendor selling Brugal 1888? Too much alcohol in aroma. Good taste with sweet tones but short aftertaste. Some Oak and banana for sure, without overpowering sweetness. Priced appropriate. This is part of a rum Advent calendar from my son. Small but adequate tasting amount. Terrific nose. Fresh, not alcoholic, lots of floral notes. Beautiful balance, all flavor and a finish that slides right off the tongue. Not hugely complex, no huge spice, but REALLY nice sipping. I disagree on the "no sweetness" comments I've read. There isn't much, but...just enough. I origionally put this at 8, but am going for 9 (realy wanting 8.5). This is a great rum! I finally came around and bought a bottle of this when I saw it for a good price in the classic blue box/bottle combo which has now been discontinued. 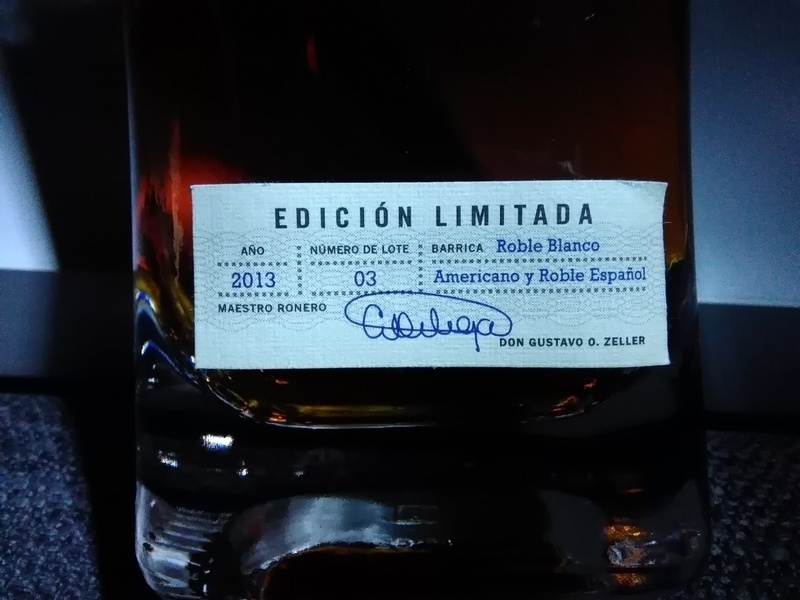 Its definitively Dominican rum with the same grassy/tropical dew backbone as rums like Kirk&Sweeney or Ron Matusalem. With that said I really disliked K&S 12 and really liked Matusalem 18 so Im only referring to a familiarity and not the whole taste. 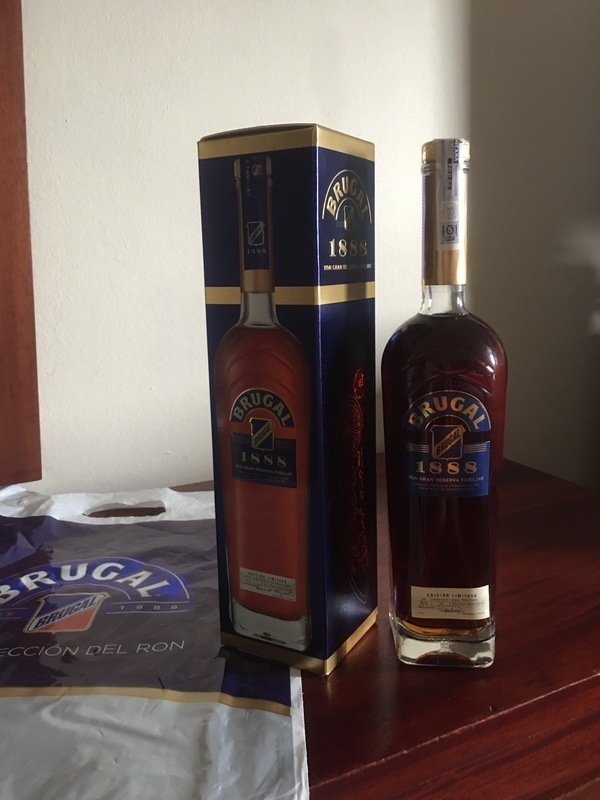 To compare, Brugal takes that grassy flavor and balances it out as not to be bitter or cloying the way it is in all the K&S rums IMO while being less sweet with a similar smoothness to Matusalem. 1888 has some delicate bourbon, vanilla, brown suagar, and sherry flavors with a tiny bit of spice at the end. Its very easy drinking and more dry than sweet. Dont expect this to blow you away but it is a nice "sipper",which remember, doesnt always mean sweet! Update: 2nd bottle and it's the new one with the black wax over the cork. I like it even better this time around but that doesn't mean that the rum has changed, more likely my palate has changed. I am more used to the Domincan "tropical breeze" backbone of this rum and can therefore appreciate the flavors from the aging more. Creamy and one of the smoothest ever. It's like alcoholic caramel! With random notes of wafer, orange rind and sugar popping up. It's balanced, it's well made blah blah blah. Key take away: this rum makes for some delicious easy drinking! Rum is dry with cherry like finish and mild sweetness. Fine rum but it does not make big impression enough to be remembered and recommanded. I expected this to be a more spicy verison of Mount Gay XO. My expectations were off. Its sweet and fruity with oak coming true on the finish. The sweetness tastes natural and not syrupy as if it was added in after distillation. Very smooth finish and no funk that a lot of rums contain. Excellent! Těžší RUM, né tak sladký. Připomíná mi DosMaderas 5x5. Taktéž dozrává v sudech po cherry Pedro Ximenéz. I really enjoyed this. Aimed more toward the bourbon/scotch crowd which I also appreciate. If you are looking for the sweetness, probably not for you. A few drops of fresh lime takes this from a single drink to a speech slurring afternoon. Un goût trop simpliste pour un rhum ayant passé du temps en fût de bourbon et xérès. Les notes de xérès sont presque inexistantes. Pas mauvais mais décevant. This is a quite tasty sipper at $40.00 for 750ml. I do notice the alcohol a bit more than I would like too since it is only bottled at 40%, but the flavors in this rum make up for it. A little spice, a little wood, some fruit, a touch of sweetness, and leather maybe? Nothing really stands out as dominating to my amateur senses. I'm a bit torn on what rating to give this one actually. I may upgrade my rating in the future as I spend more time with this lovely rum from Brugal. Got the 1888 hoping it would be something like the Leyenda...sadly it is not complex enough to compete, very smooth but finishes so fast with very subtle, banana and tobacco notes. A bargain sipper for 40 bucks. This is a very easy sipping rum for sure. However, the price puts it in a category with a lot of other brands that could be considered slightly better. There are also other brands lower in price like Ron Zacapa 23 or Diplomatico that are equally as good. ( double wood ) amerikai tölgyfahordóban és spanyol tölgyfahordóban érlelt rum. Gyönyörűszép ,lágy mahagón színe van..főleg a sherry és az alkohol a domináns, plussz kevés vanilia, kissé füstös és jó száraz...többet vártam tőle de a szép üveg némileg kárpótol !! Went on a work trip with my hermanos from the Dominican. He is the one who introduced me to rum from the DR. We bought this planning on mixing it, and it ended up being somgod we sipped it straight! Si bien los rones Brugal no me habían sorprendido, éste sí que lo hizo. Fácil de beber tiene un sabor exquisito. Gran ron dominicano. This is some great stuff. It’s a whiskey drinkers rum. It has great aromas on the nose. At first sip I loved it . It’s dry but sweet and has long whiskey finish. Not much burn but keeps you warm. After trying several Dominican rums this is at the top of my list next to Leyenda. This rum is so good a must have in collection! From the Brugal rums, the 1888 is by far the beat i’ve tried, good color, good flavor and nose, even though you can still taste a litle bit of that earthy flavor tipical of Brugal. In my opinion is good but not worth the $50 i paid for. You can something of better quality for that price. I didn’t love this initially, but I didn’t hate it either. And then for the second round I had another. And then another. Long story short...this is a very easy drinker. Nothing that stands out about to me, but nothing offensive either. Drank this with a few ice cubes each time, and it was a nice compliment to the cigars down in Punta Cana. Ok, nothing more nothing less. Nose: light chocolate, sugar and banana. Palate : smooth thin taste of chocolate and exotic fruits. Not to sweet though. I don't know what it is about this rum, but I like it. I taste what I think is the lingering flavor of some kind of port barrel. As well as, smooth crisp fruits vanilla and toffee that dance perfectly together. I believe they are in the works of changing the packaging because the most recent shipment to our store has been relabeled and re-bottled into a shorter bottle with a black wax top. Haven't gotten the chance to open that one yet, but when I do I will let you know what I think. I was surprised the sharp start even i roll it in a glass for 10 min at least, worming the glass in hand, but the end is nice,flavours of oak,fruits and vanilla. I like also its dry not sweet rum. I think i need time to figure out the optimal its breathing period before drinking it. Edited later after 3rd bottle. I grew fond of it more, its well rounded and it has rich flavour although still dry and smooth.